BIAS ALERT, this new breakfast/brunch place is run by the chef (Peter Sandroni) who created La Merenda http://www.lamerenda125.com/ which is my absolute favorite restaurant in Milwaukee. Anyone who hasn’t tried it, please do so. 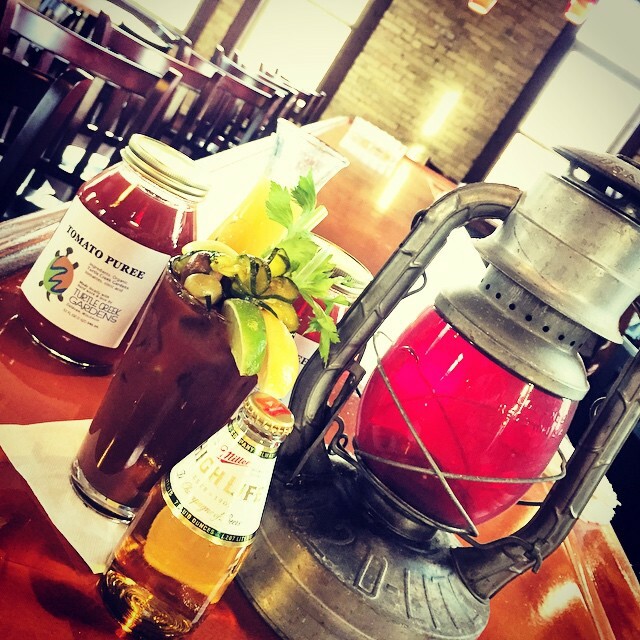 Free valet parking, Walker’s Point, right of the National Ave exit, and the most delicious food along with the widest variety of types of dishes that you will find. Even picky eaters can find something here. You definitely want to make plans in advance though: this is extremely popular and reservations are limited for Fridays and Saturdays. OK, so I stopped at Engine Company No. 3 for lunch early in the week. I sat at the bar with no waiting. I have a feeling it may be hard to get a seat, especially on weekends. They have smartly designed the restaurant so there is an upstairs “waiting room” with a bar for people waiting for a table. I didn’t try the cocktails, but the list was impressive, and a crafted cocktail drink while I waited would be fine with me. By the way, there was a ton of two-hour, non-meter parking on the adjacent street. I ordered the Company Club with the truffle fries. 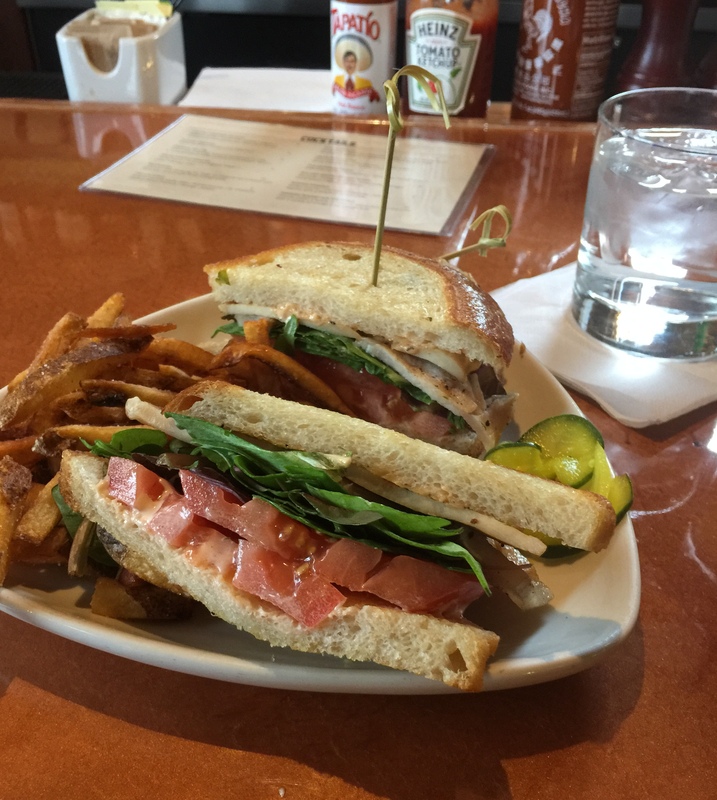 The club was made on homemade sourdough bread with chicken and Irish bacon (not strips, think more like flavorful Canadian bacon) tomato, lettuce and a smoked tomato aioli. Wow loved the bread and aioli. Its so easy to jazz up mayo a bit to make a sandwich more interesting. The truffle fries were just awesome. Truffle flavor, is kind of hard to describe, but it adds a rich taste to foo. I have ordered a couple dishes where it was almost overpowering, but not these fries. I ate every one of them. The most interesting part of the lunch were the pickles on the plate. They were special-crafted pickles, kind of like bread and butter pickles but with an herb or spice used that I can’t put my finger on but made them so different. Next time I want to try one of the Mexican-influenced menu items. Oh, and the bartender felt like an old friend too, service was perfect. ← REVIEW WEDNESDAY: Panda Chinese Restaurant, 8020 Durand Ave, Sturtevant.